Now standard on the LDX is Super Red Hot colorization, highlighting high-heat scenes in brilliant shades of yellow, orange, and red and temperature measurement in numeric and relative heat indicator formats. Bullard's exclusive Electronic Thermal Throttle® which enables Fire Fighters to optimize scenes with the touch of a button, is optional. 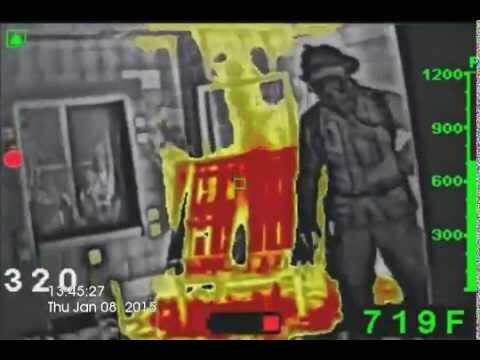 The LDX is distinguishable from other thermal imagers by its uniquely focused compact ergonomic design for the fire service and a cool, blue metallic swirl color. Other colors are also available. Additionally, the imager's power button design enables easy powering on and off with a gloved hand.